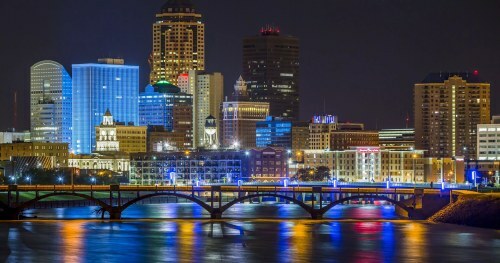 United Airlines has dropped the price of their flights from Calgary to Des Moines, Iowa down to $280 CAD roundtrip including taxes. This is 44% below the typical cheapest roundtrip prices from Calgary to Des Moines. Lately, United Airlines has been dropping their fares from Calgary to smaller airports around the U.S. that typically never go on sale. calgary, yyc, united states, flight deals, united airlines, north america, des moines, iowa and dsm.